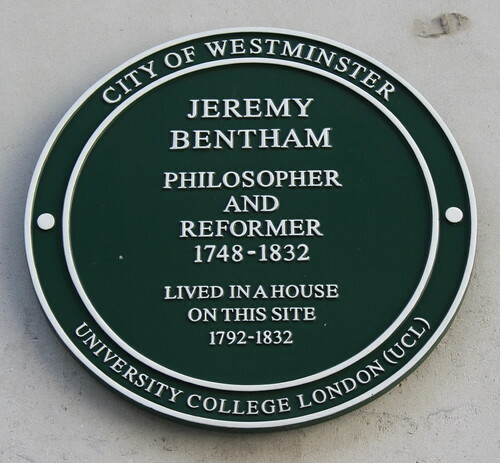 Philosopher Jeremy Bentham lived for forty years in a house on the site now occupied by the Ministry of Justice (102 Petty France). I received the favour of yours on Friday, and am very glad to find by it, that you are likely to suit yourself with a house so much to your liking; for my part, from the description you give me, and the idea I have of it, I really think it must be very pleasant and convenient; I should be glad to hear that you have taken it, of which I can only draw a probable conclusion from your data, as you have not expressly mentioned it. The house proved convenient for Jeremiah bought it at the end of 1764. Bentham’s house could be entered through a dark passageway from Queen Anne’s Gate near the site of the plaque, or through a gate into his garden from Bird Cage Walk to the left of the Barracks. 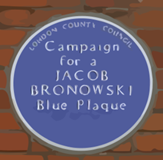 Councillor Catherine Longworth, Lord Mayor of Westminster and Professor Malcolm Grant, the President and Provost of University College London, unveiled a commemorative plaque to Jeremy Bentham on the gateway of the current building. The current building is a government office and not open to the public.